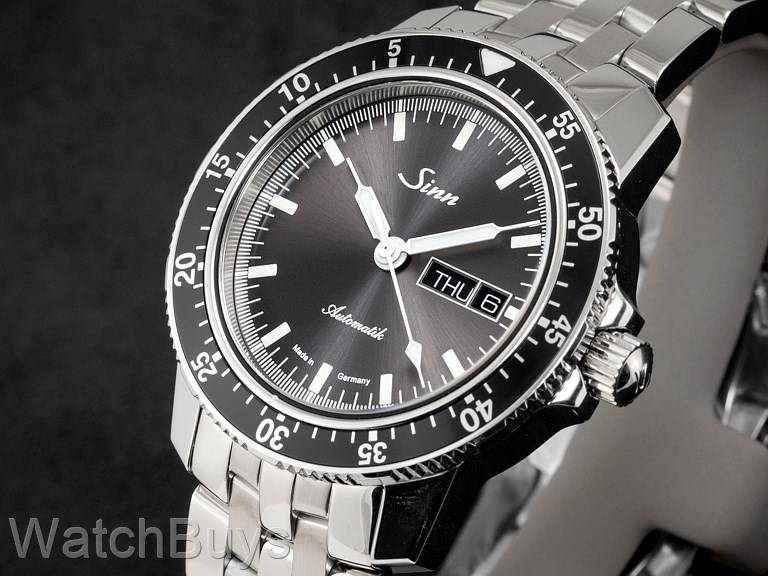 The Sinn 104 I Series remains our best selling Sinn watch, and now Sinn has added a new twist by fitting the watch with an anthracite electroplated dial finished with a sunburst decoration. 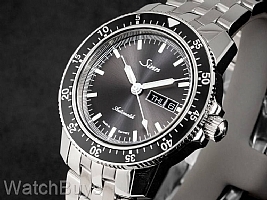 The new Sinn 104 I St Sa A has a very distinctive look, and the reflection of light on the dial takes on an array of colors ranging from a very deep grey (almost black) to anthracite. Although the Sinn 104 I St Sa A takes design cues from chronograph watches, it is not a chronograph but rather a time, day, date and rotating bezel watch. This watch is fitted with a Sinn fine link stainless steel bracelet.